Board your flight and arrive at Cochin . 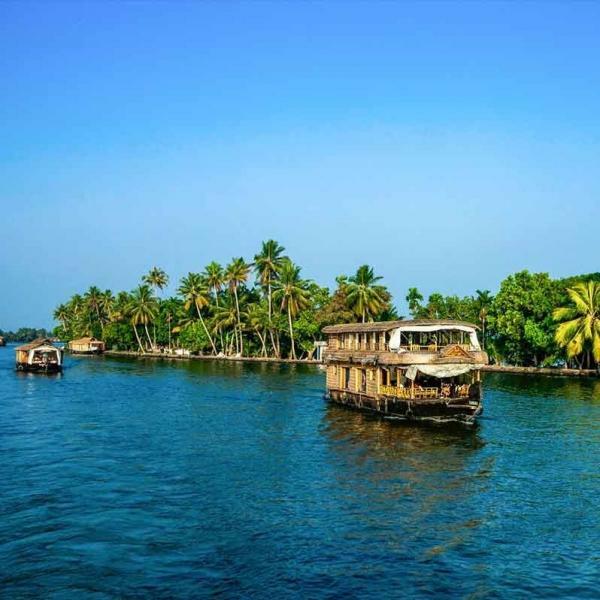 Your Kerala holiday package will begin with your arrival in Cochin. lunch (On your own). Enroute you can visit Chiapara Water fall and Spice garden. On arrival at Munnar, check-into the hotel and relax a bit. You may go to visit the local market in the evening (on your own). Return to the hotel and have a pleasant overnight stay. 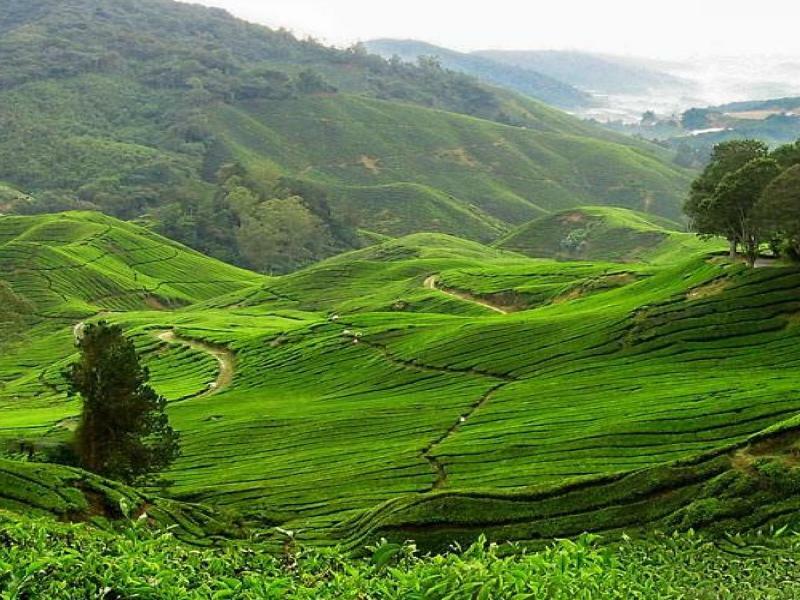 After Breakfast, we shall move forward on a sightseeing tour of Munnar where we shall cover Tata Tea Museum , Eravikulam National Park , Mattupetty Dam, Echo Point, Old Munnar Town and the town market. In Evening, return back to hotel. binding attractions of route, we shall reach Thekkady by noon. 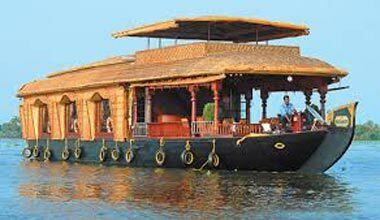 You may opt for Periyar Boat Ride (Entrance fee not included) and indulge yourself in many activities like watching Kathakali (Famous dance form of Kerala ) and Kalari (Martial Art) (At your own). You can do some shopping as Thekkady is very famous for it’s spices. Overnight accommodation will be in Hotel. After Breakfast, we shall move forward to Alleppey to feel the Houseboat paradise of Kerala. Post check in formalities, rest of the day will be there on leisure where one can enjoy the local serenity while taking a leisure walk. Overnight accommodation will be in Hotel. (You may chose to stay on Houseboat at anadditional cost). drive to Kovalam. Once you reach Trivandrum , stop at a good restaurant for lunch. Later, visit the Napier Museum which displays Kerala chariots and ivory carvings and Zoological Park (Closing time 1645 Hrs., closed on Mondays). 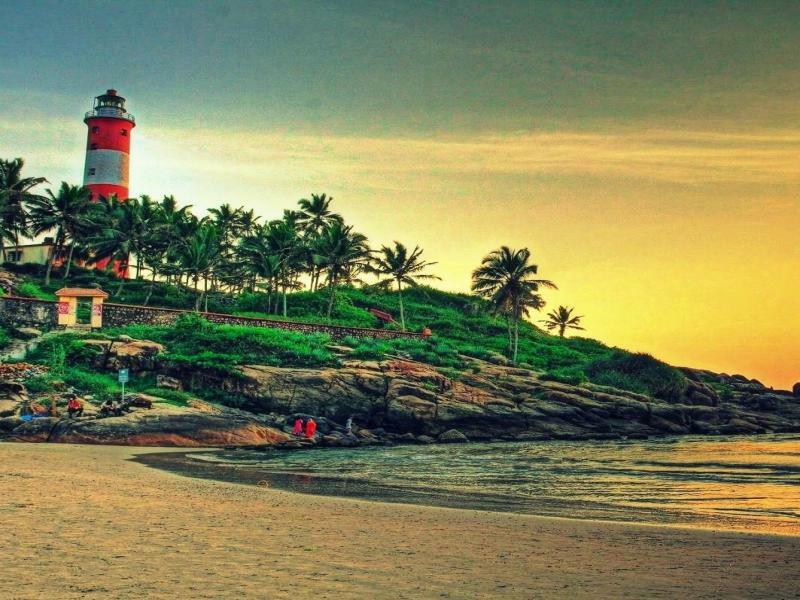 In the evening, head towards Kovalam- the Paradise of South India. Situated 16 km from the capital of Kerala, it is the perfect place for resort vacation and is widely famous for its Ayurvedic massages, yoga resorts and surfing. On arrival, check-in to the hotel and unwind yourself. After Breakfast, we shall move forward for local sightseeing where we shall cover the most famous beaches like: Hawa Beach, Light House Beach, Vizhinjam Beach etc. Whole day will be there to enjoy the famous beaches. Evening will be there to enjoy the time in leisure and feel the serenity of Kovalam. Overnight accommodation will be in hotel. After Breakfast, will proceed to Trivandrum to board the return flight/Train. The said Holiday Services are not valid during national holidays, public holidays, festivals, trade fairs, exhibitions, and long weekends. A surcharge will be levied and will be advised at the time of booking. Destinations Covered : Kochi, Kovalam, Thekkady, Trivandrum, Mu..